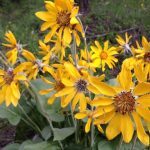 To date, the City of Whitefish and Whitefish Legacy Partners have built over 42 miles of natural-surface trail and 12 trailheads. 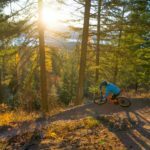 Locals and visitors have a variety of easy-to- locate and easy-to-navigate recreation opportunities on public and private lands that will ultimately create a 55+ mile recreational trail surrounding Whitefish. The popular trailheads of Lion Mountain and Skyles Connection were the first pieces of the Whitefish Trail to open in 2010. Lion Mountain provides over three miles of stacked loop trails to a scenic overlook. The Skyles Connection serves as a vital access point between Beaver Lakes and Lion Mountain. 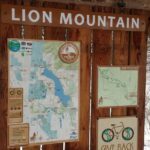 Users can explore west to the Beaver Lakes area or head east back to town through Lion Mountain. 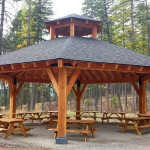 In 2015 the WT Learning Pavilion was completed at Lion Mountain to anchor outdoor education programs on the Whitefish Trail. 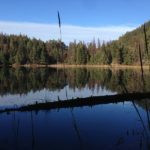 The Beaver Lake area offers trail users the opportunity to explore 6 pristine lakes through a permanently protected landscape. 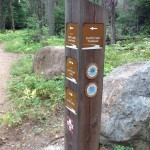 The Beaver Lakes trailhead opened in 2011, and expansion of the Woods Lake trails and trailhead and the North Beaver Connection provides users better access. The Dollar Lake trails opened in October of 2015, and provide users yet more destinations to explore. Overall, the Beaver Lakes area contains approximately 15 miles of newly built trails. Swift Creek at the head of Whitefish Lake, serves as a critical outpost for completing the trailsystem around Whitefish Lake. Swift Creek trails currently meander through old-growth forest with scenic overlooks and expanding view of the Whitefish Range. Access to a serene Smith Lake was also secured. Swift Creek will be the vital connection between Phases II & III of the Close the Loop Project. 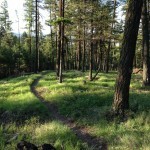 Trails at Lupfer were added to the Whitefish Trail System to provide trail users yet another opportunity for recreation. A roughly 4 mile loop trail and scenic overlook provides panoramic veiws of the Stillwater Valley. Connecting Lupfer to the network is currently Phase IV of the Close the Loop Project. 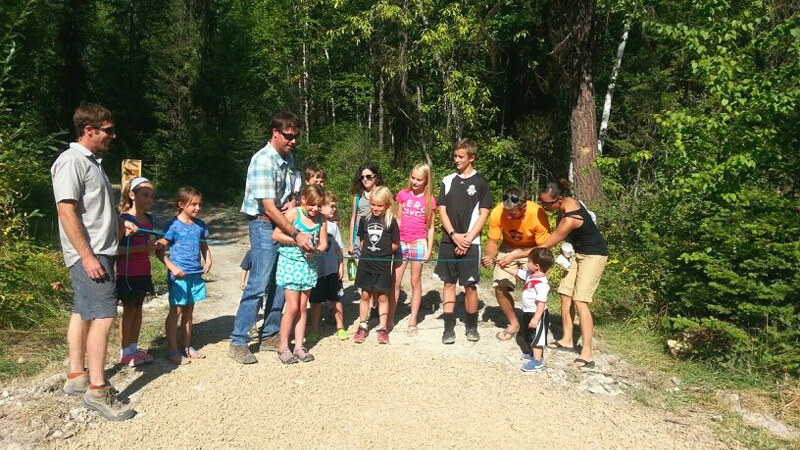 The eight-mile WT loop at Spencer Mountain officially opened in summer of 2015. 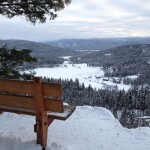 The Whitefish Trail at Spencer Mountain has a different character than other parts of the trail system because most of the trails are historic trails. Some new trail building in South Spencer has helped make vital connections, and in spring of 2016, we were happy to open a new East-West Connector Trail. This newly licensed trail cuts the once arduous eight mile loop into two, smaller 4-5 mile loops. Haskill Basin serves as the eastern gateway to the Whitefish Trail. In May of 2017, we broke ground on 5.5 miles of new trail and two trailheads connecting Whitefish to Whitefish Mountain Resort. The Big Mountain Trailhead, in partnership with Glacier Nordic, has groomed cross country ski access during the winter. Phase I of Close the Loop in Haskill Basin was funded by the Land, Water, and Conservation Fund, the Montana Recreation Trails Program, the Forest Service Resource Advisory Council, and local community donors. Final construction ended in 2018 with the addition of a scenic boardwalk and viewing platform at Haskill Lake.